Established in the year 2001, we, “C-Tech Engineers Private Limited”, are one of the most eminent ISO 9001:2008 certified Organization engaged in manufacturing and exporting an excellent range of Metal Bushes & Plated Pins, Brackets, Pistons, Assemblies and other Components. 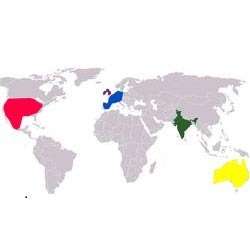 We have been successfully delivered our product range to various OEMs in Europe, USA & Australia in construction machinery, excavators, automobile & general engineering companies. Made available in varied specifications, these products are manufactured using high-grade raw material and by employing latest technology & machinery. Owing to the dimensional precision, durable standards, perfect design and corrosion resistant finish, our product rage is highly demanded all across Australia/NZ, Indian Subcontinent, East Europe, Central America, North Europe and South/West Europe. Our organization has received 'Star Performer Award' for the years 2005-06, 2006-07, 2007-08 as well as 2008-09. Moreover, we have been awarded by Engineering Export Promotion Council in the category of 'Machinery for Mining, Quarrying, Construction & Parts'. With our ability to deliver a flawless range of products to the clients, we have ISO 9001:2008 certificate from last 6 years. Moreover, our team of experts has been considered as the backbone of our Organization. These professionals understand the exact details of the market and offer the products accordingly. With our client-centric approach, we have been able to garner a vast clientele for our Organization, which includes the names of S.K.S. Mechanical, JCB, Tecso Import, Italy and others. For 2005/06, 2006/07, 2007/08, 2008/09, 2010/11, 2011/12 & 1012-13 company was awarded by STAR PERFORMAR award from Engineering Export Promotion Council in category of Machinery for Mining, Quarrying & Construction & Parts, Small Enterprises. We believe in long term relation by quality product delivery to achieve customer satisfaction for mutual growth. C-Tech engineers are committed to become best on global scenario for delivering precision machined components with the task of quality, cost & delivery. 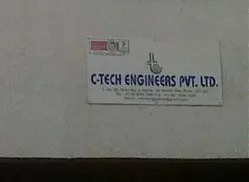 C-Tech Engineers Private Limited is one of the most eminent ISO 9001:2008 certified manufacturers and exporters of a superior quality range of Metal Bushes & Plated Pins, Brackets, Pistons, Joints, Assemblies and other Components. The Machined Components that are offered by us are widely used in automobile, mechanical, electronics and other sectors & industries. We manufacture these products using premium genuine quality raw material such as alloy steel 16Mn Cr 5, EN8D, SAE1050 and others. These products are widely appreciated for their dimensional accuracy, durable standards, corrosion resistance and flawless finish. Moreover, controlled heat treatment is used while manufacturing these products. 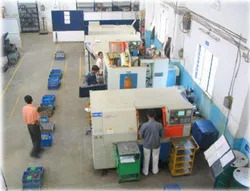 In house Designing & Manufacturing facility for Jigs, Fixtures, Special Gauges, Machine Accessories, Work holding arrangements, Tool holding systems, SPM, HSS cutting tools etc. International approval ISO 9001:2008 from ICS. Backup for C.M.M facility from sister concerns. 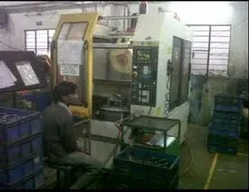 Advance machinery for total solution for turned components. Export house status from Government of India. In-house Heat Treatment facility for Hardening & Case Carburizing (Seal Quench Furness). We are backed by a team of well trained and dedicated professionals who help us to develop a superior quality range of Metal Bushes & Plated Pins, Brackets, Pistons, Joints, Assemblies and other Components. Our team members imbibe thorough knowledge about this respective domain. These experienced professionals make sure that all production processes are in tandem with the industry laid parameters and for the same our quality analysts ensure that our offered range stands tall on the clients expectations. We have been able to offer a genuine quality range of Metal Bushes & Plated Pins, Brackets, Pistons, Joints, Assemblies and other Components to the customers as per the market demand. Our professionals understand the exact demands of different industries and make sure to design the entire range of products accordingly. Moreover, customized products can be availed from us as per the exact details provided by the esteemed patrons. Customer satisfaction is of utmost importance for our organization and we put in our best efforts to attain the same. We have also been widely appreciated for our ability of timely delivery of the ordered products at the clients' premises. We have been widely appreciated in the market for offering a high quality range of Metal Bushes & Plated Pins, Brackets, Pistons, Joints, Assemblies and other Components to the esteemed customers.